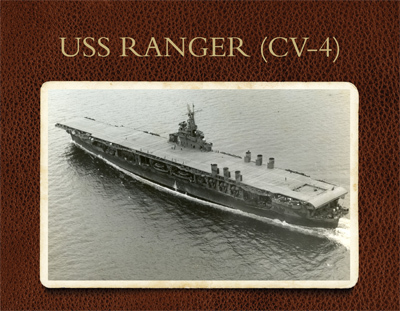 2011 USS Ranger Calendar: A 16-month calendar beginning October 2010 and ending December, 2011. The calendar features 16 historic Ranger photos with easy to read dates and plenty of room for notes. Important Ranger dates are marked, such as the date the Ranger was launched (Feb 25, 1933), her first passage through the Panama Canal (April 6, 1935), the date the movie "Wings Over Honolulu" began filming on the Ranger (Feb 15, 1937), the date of the first strike during OPERATION TORCH (Nov 8, 1942), and many others. To get your copy of this calendar click here. 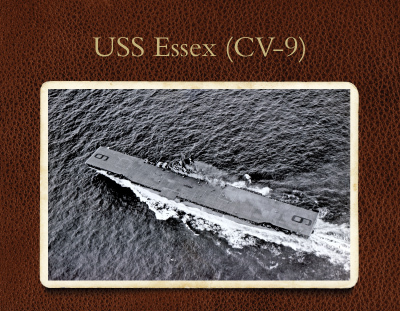 2011 USS Essex Calendar: A 12-month calendar beginning January 2011 and ending December, 2011. The calendar features 12 historic Essex photos with important Essex dates marked.